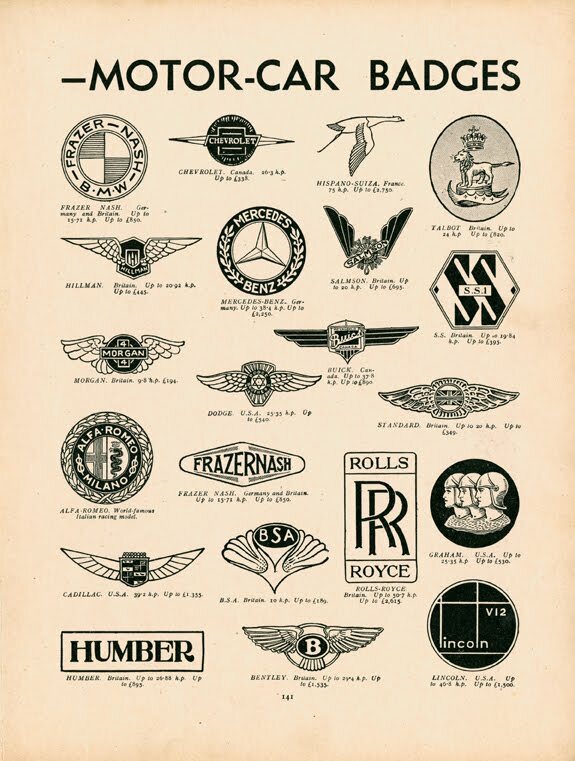 The research part of a logo/brand identity project can be a thoroughly rewarding experience: you can unearth things you may have never had a reason to unearth upon in a regular day. The research phase is often a part I relish, and damn it, so should you! 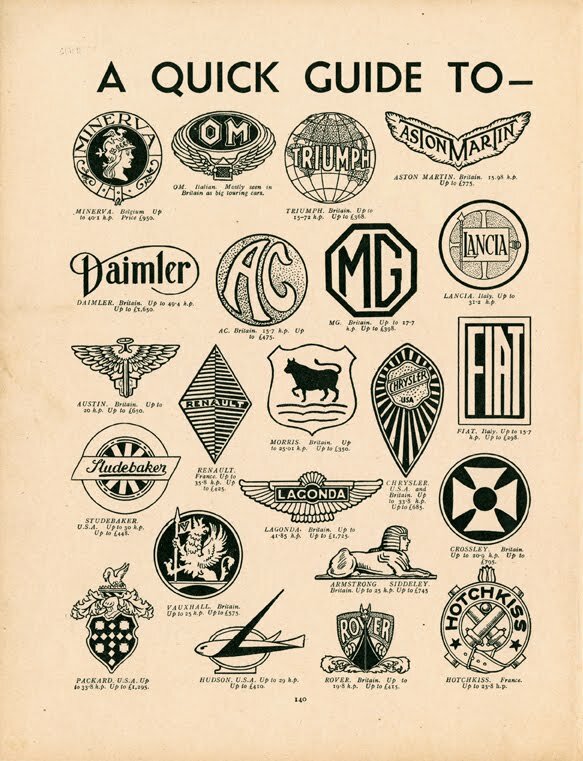 My current identity project has lead me to this lovely vintage 2-page spread entitled “A Quick Guide To Motor-Car Badges” from an English publication “Modern Boys Book of Hobbies” circa 1937.